Lake Chelan Wine Valley Archives - Write for Wine: It's Wine O'Clock Somewhere!Write for Wine: It's Wine O'Clock Somewhere! 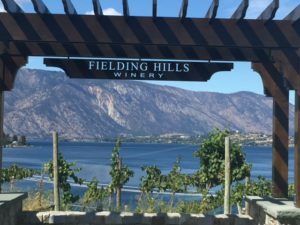 On a trip to Lake Chelan last month, we discovered that the new tasting room at Fielding Hills Winery is as magnificent as the wines. (The tasting room isn’t really new, it’s two years old, but we hadn’t visited in six years, so it was new to us.) 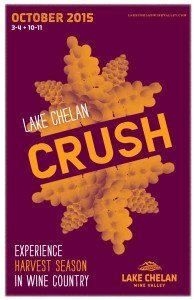 Located on the shores of Lake Chelan, the views are spectacular and a great backdrop to some wonderful Washington wines. Winemaker Mike Wade released his first vintage in 2000, and two years later, he was named one of Washington’s Rising Stars by Wine Spectator. We first met Mike in 2010 at his vineyard, during our tour of Cascade Valley wine country. At the time, he told us that the winery’s history began a lot earlier. 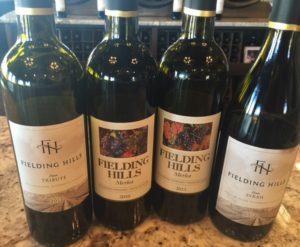 We’ve been fans of Fielding Hills Cabernet Franc and Cabernet Sauvignon for years, and these two beauties did not disappoint in their recent vintages. Here are our thoughts on them and the other wines we enjoyed during our visit. 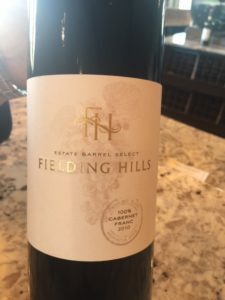 No surprise here, we love this library wine — one select barrel of 100% Cabernet Franc from Fielding Hills estate vineyard. This Cab Franc is beyond rich; it is luxe, pure, full-bodied and unique to the character of the grape and the 2010 harvest. This is a special occasion wine, so we purchased a couple of bottles for some milestone events coming up soon. Deep, inky, complex, this Cab Sauv is bold, dense and opulent with a long finish. Smokey, silky and smooth, the tasting notes describe it as “revealing multiple layers and a hedonistic styling.” This is one of the best Cabs we’ve tasted in recent months. Pair it with steak or simply enjoy it with dark chocolate. 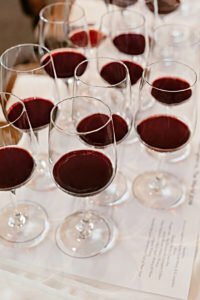 In our opinion, this wine is a tribute to Washington state’s fine varietals, in addition to showcasing Fielding Hills lineup – a blend of 40% Cabernet Franc, 20% Cabernet Sauvignon, 20% Syrah and 20% Merlot with aromas of cocoa, spices, cedar and black cherries. Rich, full-bodied and smooth, this wine is comprised of 94% Syrah, blended with 2 percent each of Cab Franc, Cab Sauv and Merlot, and displays the smokey, peppery notes we appreciate in the varietal. If you’re looking for a weekend get-away, we highly recommend the Lake Chelan area — and Fielding Hills, with its lake and mountain views and excellent wines, is a must to visit.